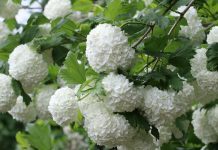 Lush flowers top the big green bush: The hydrangea arborescens Annabelle does credit to its name and forms impressive white flower heads that remind of snowballs. It is home to many gardens as an attractive decorative plant. 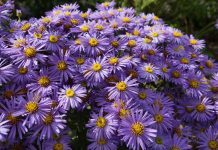 The right care ensures that you can enjoy these perennial plants for many years. You can read in the care instructions how the hydrangea arborescens Annabelle flourishes best. 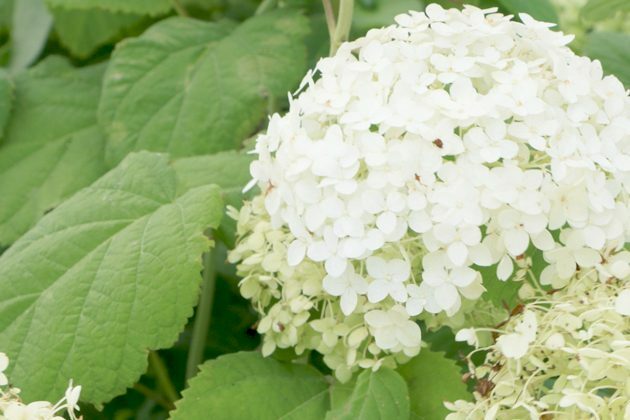 The hydrangea arborescens Annabelle enriches every garden and park with its big white flowers which last long and shoot in a great number from the bush. On the juicy green, oval leafs they demonstrate a particularly good effect. The hydrangea arborescens grows strongly upward and wide. 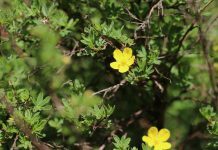 It is popular as a decorative plant as well as a summery hedge plant. 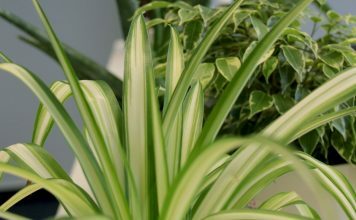 The care instructions reveal what you have to pay attention to with regards to care, planting and reproduction so that you can care for the decorative garden plant in the best way possible. The flowers of the perennial hydrangea decorate the plant for several months. They change from a tender light green in spring to a crème-white. Also withered inflorescences still look beautiful and do not need to be cut off. The cultivated hydrangea arborescens Annabelle shows considerably bigger and more remarkable inflorescences than its wildly growing relative wild hydrangea. These stem from the forests in the east of the USA and have been growing there until now in a wild environment. 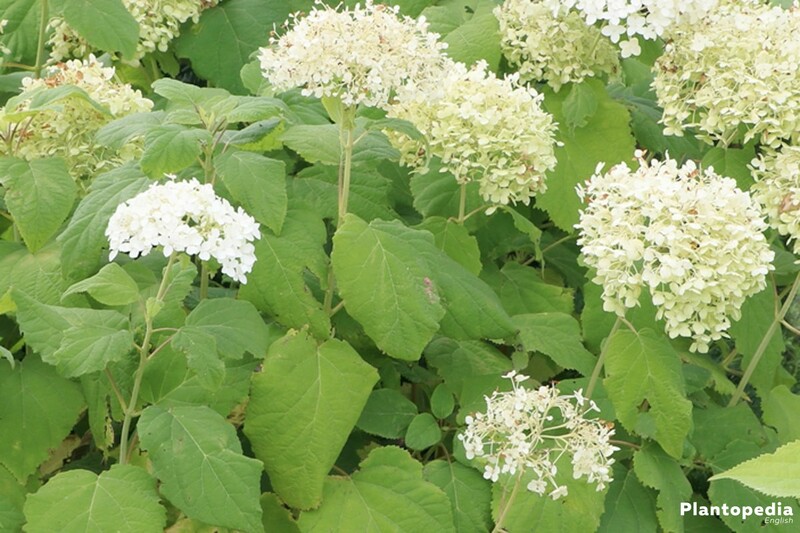 By now, the hydrangea arborescens is widely spread in North America and most parts of Europe. 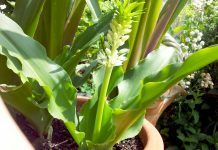 It has been cultivated as a decorative plant in Germany since the 18th century. The hydrangea arborescens Annabelle is easy-care. 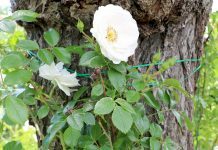 However, it reacts with a particularly lush growth and big blossom to certain conditions that are fulfilled with little effort. A semi-shade location in a garden or park provides optimal conditions for the modest hydrangea arborescens Annabelle to grow. 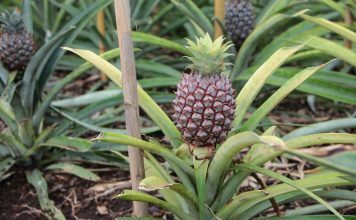 Additionally, the plants should have enough space to all directions as the bush does not only grow upward but can also become up to 130 cm wide. If the hydrangea arborescens is to be used as a hedge, it can also easily be shortened at its sides to the desired size. The cultivation as pot plant is less common, yet possible. For the location the same rules apply as for those in the garden or park. A hydrangea in a pot demonstrates particular effect for example on a terrace or balcony. 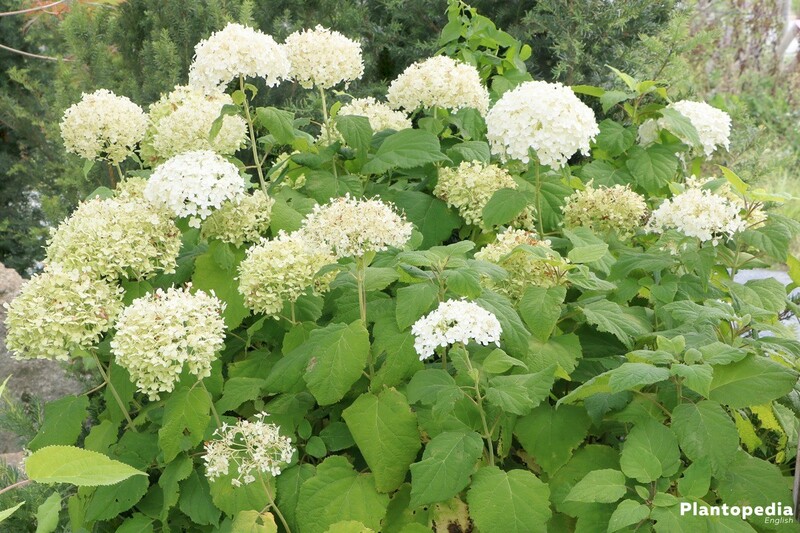 The hydrangea arborescens Annabelle favours a nutrient-rich, lose substrate. 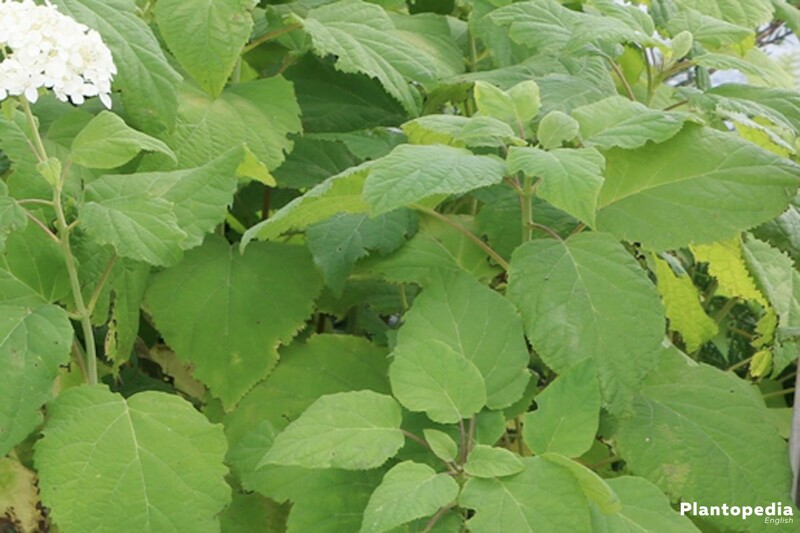 As it stems from the wild hydrangea it grows excellently in humus-rich and mineral-bearing forest soil. However, usually normal garden soil is sufficient. If the soil is sandy it should be mixed with humus before the hydrangea is planted. Moreover, the plant flourishes best in a substrate with neutral to slightly sour pH-value. 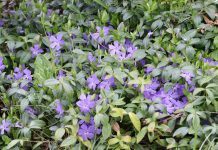 For growing the plant in a pot a mixture of humus and rhododendron soil is suitable. The hydrangea arborescens Annabelle can be planted throughout the entire year as long as there is no frost. Planting in spring is recommended as the hydrangea then blossoms in the same year for the first time. 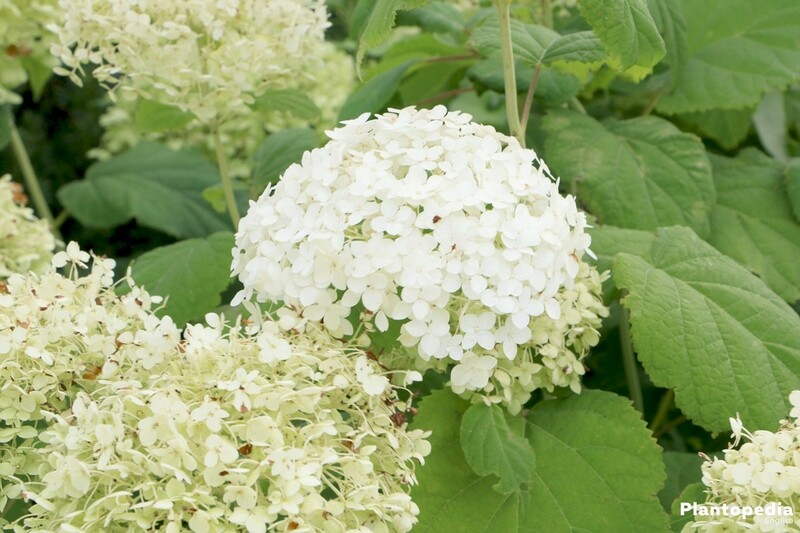 As the hydrangea arborescens Annabelle does not like waterlogging, the soil should be aerated before planting. Thereby, it is also easier for the roots to penetrate the soil and to take root. Before the plant is planted into the soil all visible weeds should be removed from the flat root ball. Freshly planted hydrangeas should be watered generously but not yet fertilised. In this way, stronger and widely branching roots develop. Normal to slightly wet locations are optimal for the hydrangea arborescens Annabelle as it needs a lot of liquid. 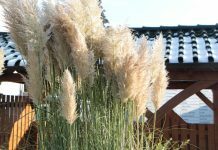 At a sunny location the garden plant needs accordingly more water than in a semi-shade one. Also during warm temperatures, it is sometimes necessary to water the hydrangea arborescens in the morning as well as in the evening. Hydrangea arborescens should already be fertilised from the second year onwards. If the soil is nutrient-rich, the hydrangea arborescens Annabelle should be fertilised scarcely – once a month is sufficient. In principal, the fertiliser should be used sparingly because too much leads to soft shoots. 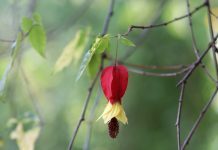 These are then no longer able to support heavy flower heads. Regular hydrangea fertiliser from the specialist garden store is suitable for fertilising as it contains much nitrogen and little phosphor. Fertilising takes place in spring until July during flowering. Alternatively, cattle dung or cattle dung pellets can be used, because dung has a sour pH-value. Other organic substances such as compost, coffee grounds, horn meal and shavings as well as plant manure are also suitable fertilisers. They break down slowly and naturally and provide the hydrangea steadily with important nutrients. However, phosphorous universal fertilisers should not be used. When grown in a pot it should be kept in mind that the hydrangea needs more nutrients and therefore needs to be fertilised more often. Liquid hydrangea fertiliser which can me mixed into the water during spring and summer is the most suitable. 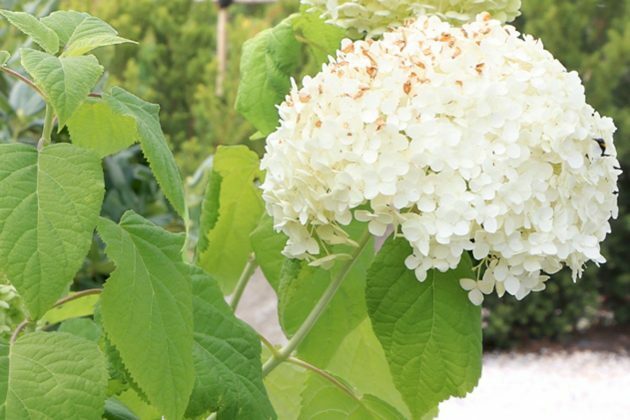 If the hydrangea arborescens Annabelle is correctly cut back in late autumn or beginning of spring, growth and flowering in the next growing period is enhanced. As it grows quickly, it can be cropped generously. From these eyes new shoots grow for the following season. From every old shoot two new ones develop, which is why the hydrangea becomes bigger and boskier as it ages. If some branches grow too close and therefore impede each other, the plant should be thinned out a bit. Additionally, stunted and unwelcome shoots can be cut off during spring and summer. 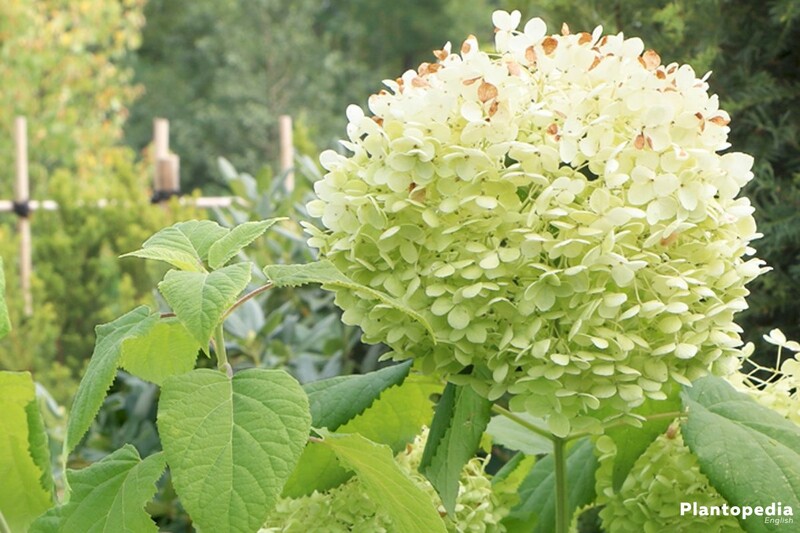 The hydrangea arborescens Annabelle is also very popular as a cut flower. 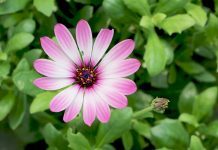 Individual flowering shoots can be easily cut off and bundled for a flower bouquet. It can happen that the big flower heads become too heavy for their shoots. It is not a problem if they sink slightly to the ground. Only when the branches are about to break you should take action. Affected flowers can be easily propped with a pole made of bamboo for example. 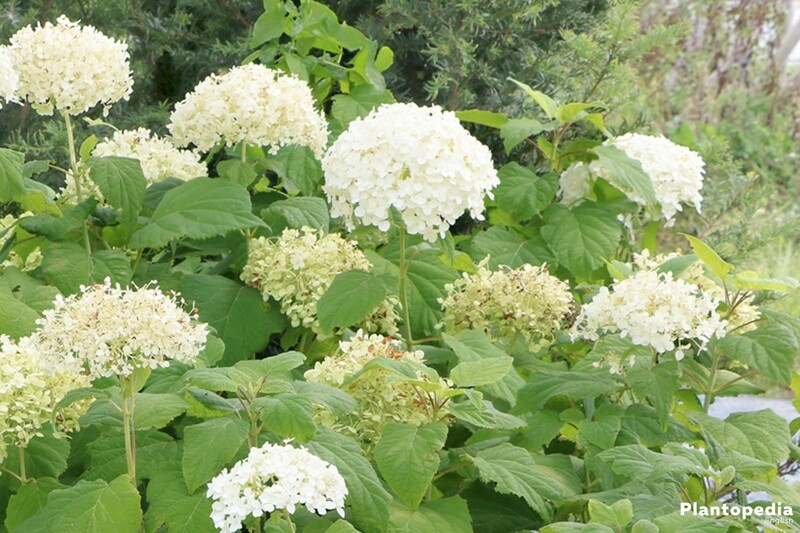 The hydrangea arborescens Annabelle is perennial and can easily overwinter outside. In regions with stronger frost the plant can be covered with pine brushwood after it has been cut back. A hydrangea arborescens Annabelle which is kept in a pot can also overwinter outside. Thereby, it is recommended that the pot is wrapped in a linen bag for example and put on a wooden pallet. In this way, it is guaranteed that the substrate does not freeze completely. 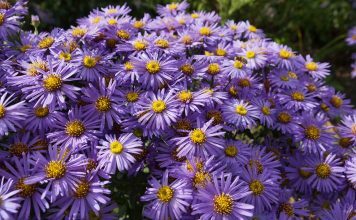 Only one-year-old young plants in a pot as well as plants in a pot with a diameter less than 30 cm need a frost-free wintering ground. This one should be bright and not warmer than 5°C. 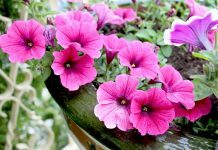 Tub plants as well as young plants that are kept in a pot can be repotted or planted outside in spring. As for most plants repotting is necessary when the pot becomes too small and no longer provides sufficient space for the roots. The decorative flowers of the hydrangea are sterile, which is why the following forms of reproduction are especially suitable. Cuttings are best derived the plant is cut back. One-year-old shoots are especially suitable as they are about 15 to 20 cm long and possess a minimum of two pairs of eyes. After the top of the shoot is cut off the cutting can be put in a pot with cultivation soil. The pot should be placed in a shady location. The substrate needs to be kept wet constantly without waterlogging to occur. 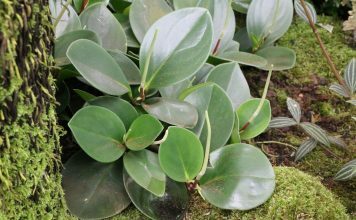 After two to three weeks the cutting begins to shoot and can be repotted into a pot, a tub or the garden in the following spring. 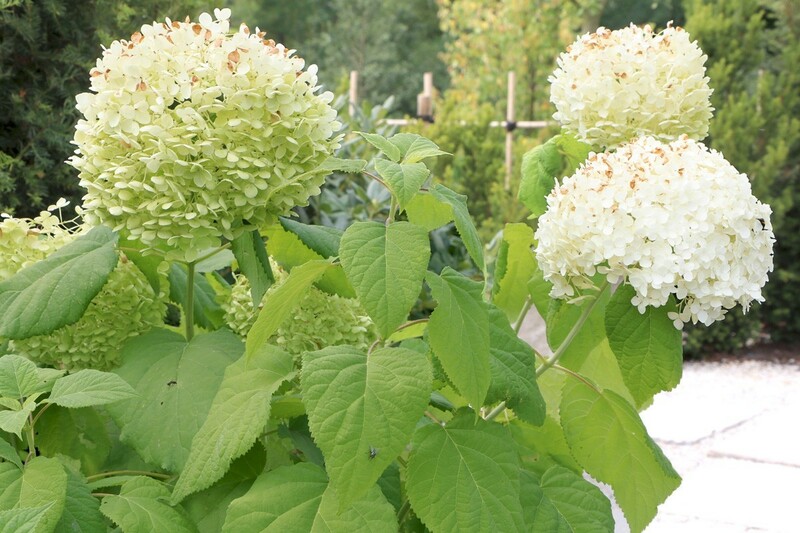 If the hydrangea arborescens Annabelle is to be reproduced in summer, this can be done with a layer. For this a flexible shoot is chosen which is only slightly lignified. 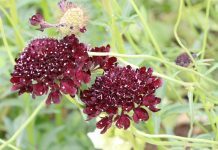 It is put in a small hollow and covered with substrate. The top needs to be visible. A stone or a piece of wood can be put on the soil to fix the layer. As soon as a first shoot is visible the layer has developed its own roots. 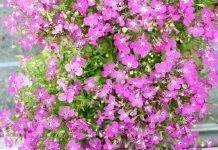 Now it can be cut off from the mother plant and planted separately at a desired place. The hydrangea contains glycoside. Some people react allergic against it and should touch only the plant with gloves. As it is poisonous, the hydrangea arborescens should not be eaten by humans nor animals. Aphids often infest the hydrangea arborescens. The few millimetre big insect can be seen with the naked eye. Moreover, they glue the leafs together with honeydew. 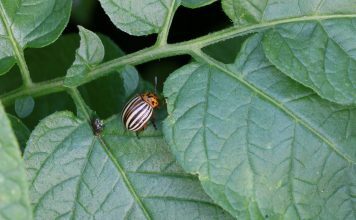 In case of heavy infestation, the plant can be splashed with water and then sprayed with liquid manure extracted from stinging-nettle. Alternatively, a plant protection product can help. Mildew is the most common disease from which the hydrangea arborescens Annabelle suffers. There, the leafs and shoots are being covered with a white coat which spreads onto the entire plant little by little and thereby kills it. The mucus infests mostly hydrangea arborescens which are already weakened because of too little water or fertiliser. The infested parts need to be cut off generously. Afterwards the plant is treated with a protection product.